This is great advice Andrea, and some I’ve taken recently myself. Love the photo for this! I think that it is awesome that you two find the balance and don’t chop each others heads off (or cover each other in paint) with such your work and family lives being so intertwined! 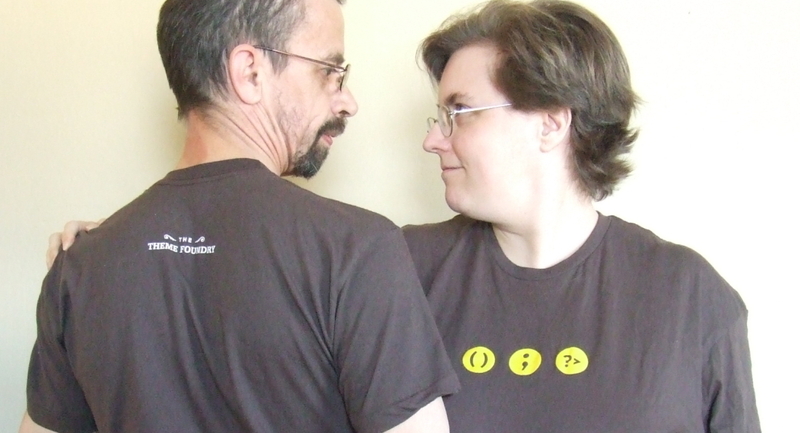 And you both seem to work together so well; perhaps you can write about about this one day…Women are from WordPress and Boys are from BuddyPress…I’d buy it! Just got around to reading this, and I definitely agree. Working from home has made it far too easy to just bury myself in work all the time as my office is only steps away. I’m trying to set boundaries, limitations, and a schedule so I can have a good life as well. Deadlines are deadlines, but it sounds like you guys have figured out a good balance.